This is a(nother) mini-report covering just a few of the wines from these vast, exciting and “hip” regions. Spot the frost covered wine tank I’ve supplied as the image for this article, symbolizing how cool Victoria and Tasmania have become and not just by nature of climate. I’m planning a much larger, more comprehensive report on Victoria and Tasmania to be published in our February 2017 issue, following my visits there in January. Meanwhile, enjoy these reviews, which include some seriously good wines that defy any preconceptions of Australian wines. Medium to deep garnet-purple colored, the 2015 Tarraford Vineyard Syrah is a great example of a beautiful cooler climate Aussie Syrah. It opens with a gorgeous nose of violets and peppercorns over a core of red and black currants, with a slight herbal/stemmy undercurrent plus notes of wild blueberries and black raspberries. Medium-bodied with ripe, rounded tannins, the lively palate has a lovely earthy character and it is elegantly understated. Deep garnet-purple colored, the 2014 Shiraz Georgia’s Paddock gives pronounced black forest cake, prunes and blackberry preserves nose with hints of anise, sandalwood, baking spices and espresso. Packed with full-bodied opulence in the mouth, the tannins are ripe and velvety while the finish is effortlessly harmonious. Love it. A blend of 50% Cabernet Sauvignon, 30% Melot and 20% Petit Verdot, the 2015 Harry’s Monster displays a deep garnet-purple color and lovely cassis, red plums, Bay leaf and cedar notes. Medium-bodied, elegant, fresh and lively in the mouth, it has ripe, grainy tannins and a good long finish. Solidly structured with plenty of fruit, it should cellar well of 20+ years. Deep garnet-purple colored, the 2014 Shiraz Emily’s Paddock has a full-on gorgeous nose of creme de cassis, kirsch, plum preserves and dark chocolate with underlying spice box and licorice hints. Full-bodied, rich and concentrated, the palate has lovely harmony with a refreshing backbone and chewy tannins, finishing with a savory edge. Pale to medium ruby in color, the 2014 Pinot Noir Sexton Vineyard offers a pronounced perfume of red roses, lavender and dried Provence herbs over a core of black and red cherries, plus earth and underbrush hints. Medium-bodied, the palate is multilayered and wonderfully expressive with layers of red berry and earthy flavors supported by finely grained tannins and plenty of freshness, finishing with great length. 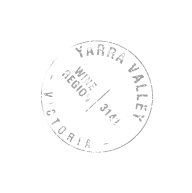 Coming from a 35-year-old vineyard, the 2015 Tarraford Vineyard Chardonnay comes from a relatively warm site for cool-climate Yarra Valley. This wine receives no malolactic and no acid additions. The nose reveals beautiful quince, ginger and pink grapefruit notes with nectarine and yeasty/toasty nuances, plus a real savory edge. Rich, concentrated and medium to full-bodied in the mouth, it delivers tons of flavor and great length. Produced using 100% whole bunch, the 2015 Applejack Vineyard Pinot Noir has a pale ruby-purple color and quite a stemmy nose, with red currants and Bing cherries at the core, plus touches of loam and raspberry leaves. Medium-bodied with generous red berry and earth flavors, the stems are more balanced on the palate and should marry well with 2-3 years in bottle. Medium garnet colored, the 2013 Shiraz gives a good intensity of lovely kirsch, red currants and violet notes with hints of lavender and menthol. The elegant, beautifully poised palate offers a great core of fruit with subtle earth and floral layers supported by satiny tannins and finishing long and spicy. The 2013 Indigo Vineyard Chardonnay offers ripe peach, spiced apple and grapefruit notes with hints of ginger, marzipan and orange blossom. Light to medium-bodied with great elegance and finesse, it offers plenty of citrus and stone fruit flavor intensity with a lively backbone and savory characters coming through in the long finish. Pale ruby colored, the 2013 Pinot Noir has a restrained, earthy nose with notes of underbrush and moss, over a delicate cherry and red currants scented nose. Light to medium-bodied, the palate contributes a lovely perfumed character, wonderfully silky tannins and great persistence. Pale ruby-purple colored, the 2015 Pinot Noir has pretty red cherry, raspberry and gentle herb notes with a touch of forest floor. Fresh, elegant, fine and silky in the mouth, it is just a tad light on intensity and finish. Pale to medium ruby-purple colored, the 2015 Pinot Noir has an intense cherry, warm cranberry and roses nose with a waft of cinnamon toast. Elegant, light to medium-bodied, soft and lively in the mouth, it has silky tannins and great harmony. Medium to deep garnet in color, the 2010 Plexus is starting to morph into a meaty, savory nose with core of kirsch and blueberry preserves, plus potpourri and a touch of cranberry sauce. The palate has great structure, still—all rounded and plush—with maturing, savory fruit leading to a very long finish. Made from 100% Grenache, the medium garnet-purple colored 2015 Annexus has a seriously intense perfume of crushed cherries and black raspberries with roses and violets plus suggestions of anise, cinnamon stick and dark chocolate. The rich, powerful, concentrated palate sports beautifully velvety tannins with great freshness and a very long, peppery finish. Medium to deep garnet-brick colored, the 2005 Plexus has an alluring earthy, meaty, gamey nose over dried mulberry, kirsch and sandalwood at its core. The palate is wonderfully ripe, rich and concentrated, with a seductively soft texture and great length. Medium to deep garnet-purple in color, the 2013 Plexus has a seriously spicy perfume over a core of baked raspberries, crushed blackberries and red currant jelly, plus wafts of pepper and tar. Ripe, rich and medium to full-bodied, the palate offers a gorgeous, velvet-lined texture, with savory and earthy flavors coming through on the long finish. Deep garnet-purple colored, the 2014 Eligo has pronounced black plum and blackberry preserves aromas over nuances of charcoal, grilled meat, earth, peppercorns and aniseed. Rich, ripe, concentrated and with firm, finely grained tannins on the palate, it has a taut backbone and great length. The 2014 Plexus Blanc reveals pronounced notes of warm peaches, baking bread, honeyed pears and baking spices. Medium-bodied, it is wonderfully fresh in the mouth with a satiny texture and great persistence.